Meet our featured Australian Jewellery Designer - MisSMasH! 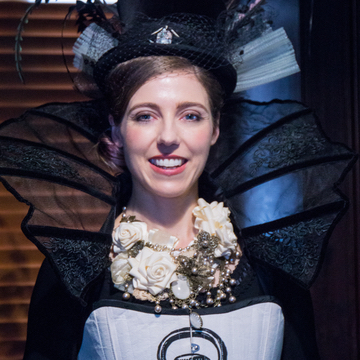 A fine arts lecturer who uses her 'design eye' to create bold statement pieces that are incredibly intricate. We have been waiting since April this year to proudly stock this unique range and are very excited to present them to you as the exclusive Australian stockist. 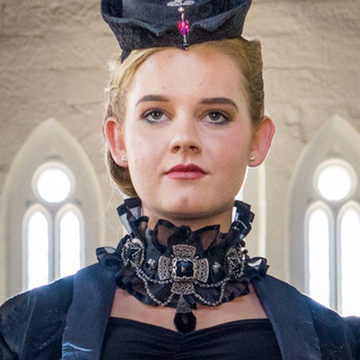 To have a range that is a perfect match for our steampunk and victorian styled bridal and formal ensembles is a dream come true. 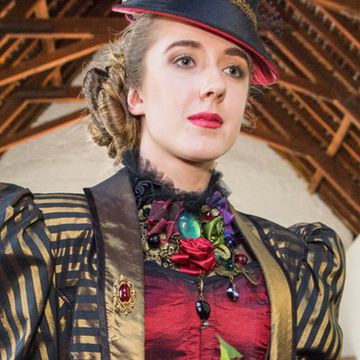 The videos and images show these pieces being worn as part of our historic church fashion show and also as part of our new 'Dark Fairy' Collection. 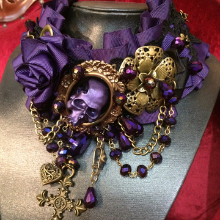 Miss Royal, Prussian Guardian & Passion Ward are the purple pieces in the Collection. This incredible piece is a beautiful lilac mauve purple offset with vintage gold. 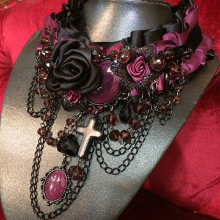 The burgundy, raspberry into purple tones in this stunning piece will delight you. Click on the image to view details. 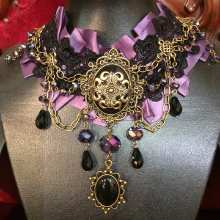 The most royal purple and gold piece in the Collection, just stunning! Gothic renaissance at its finest. Click through on the image to view details. If these are the sort of pieces you have dreamt of wearing with an exquisite gown and your budget is in the $250 - $350 price range you are welcome to either purchase them on line or view in person by booking an appointment with us at The Secret Lair in Sydney.